With the cry of Reclaim the streets! , we will stop on the urban strategies of reappropriation, our lives, of our cities, implemented in a contemporary way by the movements altermondialists. Resulting from an activism from the multitudes, ecologist, anticapitalist and for the invention of radical democracies, these movements are anchored in “imaginary rupture”. They are also at the origin of a use protestor of the media, an enthralling practice of against-information collaborative, mobile, decentralized, reformulated since the minority positions media-activists. The films presented result from two types of steps: one since the network of Indymedia media-activists and the other by the collective of plastics technicians Bernadette Corporation. 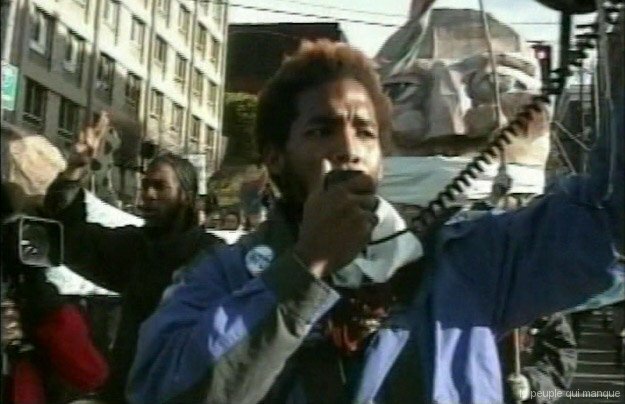 This Is What Democracy Looks like, report of the events of Seattle in 1999 during the demonstrations against OMC. Captivating implemented of an against-informative factory of the images, the film captures the crude energy of the protests, the vibrating one and powerful life of the multitude altermondialist, the unit and the multiplicity of the claims, alliance between militants of the countries of the south and militants local, the historical resonance of the event. It recalls also a moment of reappropriation of the city vis-a-vis police repression and a democracy which fall the mask. With more cameras in the streets than any media, Independent Media Center (IMC) coordinated more than one hundred of media-activists and collected more than 300 hours of rushes. In coproduction with the IMC and Big Noise Films, this film crosses confusion to offer a fulgurating portrait of this week which gave rise to a world civil movement. This Is What Democracy Looks like seizes again the plurality of the image filmeds by these media-activists, for the majority implied since of the years in independent media, which found at the end of 1999 in Seattle, working with the creation of Indymedia. It can be used as model to think the experiment of the alternative media and their co-operative practices of collective and autonomous creation. They make the their currency of Jello Biafra “Don’ T hastens the media, become the media!” (Do not hate the media, become the media) which is that of the activism of the Tactical Mediae born in the Nineties. 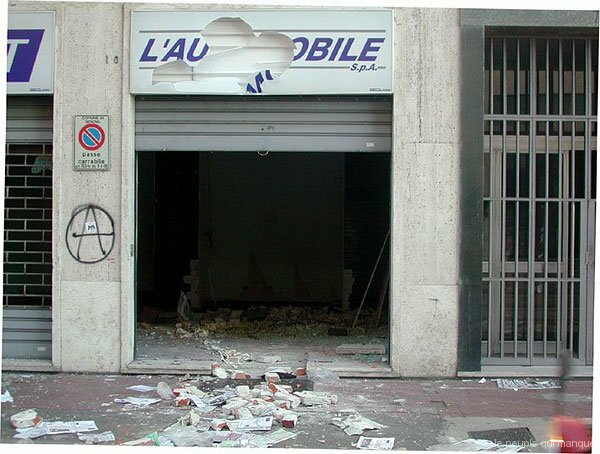 Built around the events of the top of G8 and its dispute in Genoa in July 2001, Get Rid off Yourself stops on the experiments and reflexions of autonomous mobilities and of the groups “black block”, born in particular in Germany in the Eighties. It tries to in general connect the militant practical policy to an experiment of the life. From the point of view post-situationnist, the destruction (plundering of the supermarkets, setting with bag of the banks) and the occupation of the streets release from the zones released within the metropolis. 1 Reclaim the streets (Let us take again the streets), of the name of the English action groups direct, which since 1994 organize festivals of street, between revolutionary carnivals and direct action, of insurrectionary and dionysiaque reappropriation of public spaces.